All Neuralgias are basically caused due to Vata imbalance. Sometimes it's not only vata but accompanied by Pitta imbalance. It's very important to balance both vata and pitta. Ghee, Ashwagandha, Bramhi, Guggul are excellent for Vata. Mukta Pishti ( pearls ) and other Pishti's are excellent for Pitta as well as Vata. 4. Here is the Classical Ayurvedic combination for stress, anxiety, fears which is good for overall health and helps in all sort of neuralgias. -----------------------------------------Mix all together, make 60 sachets, give 1 sachet twice daily with Honey. 5. Maharishi Amrit Kalash - 1 teaspoonful twice daily- To Balance overall health and provide nutrition. 6. Bramhi Ghritam - 1 teaspoonful twice daily or at night - To balance Vata and Pitta. 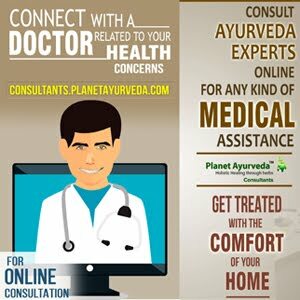 I never tried Ayurvedic treatment yet but after reading this informative post i would love to try this treatment too.